Fernandez-Rojo L., Héry M., Le Pape P., Braungardt C., Desoeuvre A., Torres E., Tardy V., Resongles E., Laroche E., Delpoux S., Jouliand C., Battaglia-Brunet F., Boisson J., Grapin G., Morin G., Casiot C. (2017) Biological attenuation of arsenic and iron in a continuous flow bioreactor treating acid mine drainage (AMD). Water Research (in press). Noël V., Juillot F., Morin G., Marchand C., Ona-Nguema G., Viollier E., Prevot F., Dublet G., Maillot F., Delbes L., Marakovic G., Bargar J.R., Brown Jr. G.E. (2017) Oxidation of Ni-rich mangrove sediments after isolation from the sea (Dumbea Bay, New Caledonia): Fe and Ni behavior and environmental implications. ACS Earth and Space Chemistry (in press). Le Pape P., Battaglia-Brunet F., Parmentier M., Joulian C., Gassaud C., Fernandez-Rojo L., Guigner J-M., Ikogou M., Stetten L., Olivi L., Casiot C., Morin G. (2017) Complete removal of arsenic and zinc from a heavily contaminated Acid Mine Drainage via an indigenous SRB consortium. Journal of Hazardous Materials 321, 764-772. Le Pape P., Blanchard M., Brest J., Boulliard J.C., Ikogou M., Stetten L., Wang S., Landrot G., Morin G. (2017) Arsenic incorporation in pyrite at ambient temperature at both tetrahedral S-I and octahedral Fe+II sites: evidence from EXAFS-DFT analysis. Environmental Science and Technology 51, 150−158. Ikogou, M, Ona-Nguema, G, Juillot, F, Le Pape, P, Menguy, N, Richeux, N, Guigner, JM, Noel, V, Brest, J, Baptiste, B, Morin G (2017) Long-term sequestration of nickel in mackinawite formed by Desulfovibrio capillatus upon Fe(III)-citrate reduction in the presence of thiosulfate. Applied Geochemistry 80, 143-154. Till, JL, Guyodo, Y, Lagroix, F, Morin, G, Menguy, N, Ona-Nguema, G. (2017) Presumed magnetic biosignatures observed in magnetite derived from abiotic reductive alteration of nanogoethite. Comptes Rendus Geoscience 349, 63-70. Baumgartner J., Menguy N., Gonzalez T.P., Morin G., Widdrat M., Faivre D. (2016) Elongated magnetite nanoparticle formation from a solid ferrous precursor in a magnetotactic bacterium. Journal of the Royal Society, Interface 13, 20160665. Resongles E., Le Pape P., Fernandez-Rojo L., Morin G., Delpoux S., Brest J., Guo S. and Casiot C. (2016) Routine determination of inorganic arsenic speciation in precipitates from acid mine drainage using orthophosphoric acid extraction followed by HPLC-ICP-MS. Analytical methods 2016,8, 7420-7426. Volant A., Héry M., Desoeuvre A., Casiot C., Morin G., Bertin P.N., Bruneel O. (2016) Spatial Distribution of Eukaryotic Communities Using High-Throughput Sequencing Along a Pollution Gradient in the Arsenic-Rich Creek Sediments of Carnoulès Mine, France. Microbial Ecology 72, 608-620. Bonnot C., Gélabert A., Louvat P., Morin G., Proux O., Benedetti M.F. (2016) Trace metals dynamics under contrasted land uses: contribution of statistical, isotopic and EXAFS approaches. Environmental Science and Pollution Research doi:10.1007/s11356-016-6901-0, pages 1-21. Othmane G., Allard T., Vercouter T., Morin G., Fayek M., Calas G. (2016) Luminescence of uranium-bearing opals: Origin and use as a pH record. Chemical Geology 423, 1-6. Miot J., Lu S., Morin G., Adra A., Benzerara K., Küsel K. (2016) Iron mineralogy across the oxycline of a lignite mine lake. Chemical Geology 434, 28-42. Muehe E.M., Morin G., Scheer L., Le Pape P., Esteve I., Daus B., Kappler A. (2016) Arsenic(V) incorporation in vivianite during microbial reduction of arsenic(V)-bearing biogenic Fe(III) (oxyhydr)oxides. Environmental Science and Technology 50, 2281-2291. Morin G., Mangeret A., Othmane G., Stetten L., Seder-Colomina M., Brest J., Ona-Nguema G., Bassot S., Courbet C., Guillevic J., Thouvenot A., Mathon O., Proux O., Bargar J.R. (2016) Mononuclear U(IV) complexes and ningyoite as major uranium species in lake sediments. Geochemical Perspectives Letters 2, 95-105. Noël V., Morin G., Juillot F., Marchand C., Brest J., Bargar J.R., Muñoz M., Marakovic G., Ardo S., Brown Jr. G.E. (2015) Ni cycling in mangrove sediments from New Caledonia. Geochimica et Cosmochimica Acta 169, 82–98. Ardo S.G., Nelieu S., Ona-Nguema G., Delarue G, Brest J., Elsa P., Morin G. (2015) Oxidative Degradation of Nalidixic Acid by Nano-magnetite via Fe2+/O2-Mediated Reactions. Environmental Science and Technology 49, 4506-4514. Dublet G., Juillot F., Morin G., Fritsch E., Fandeur D., Brown Jr G.E. (2015) Goethite aging explains Ni depletion in upper units of ultramafic lateritic ores from New Caledonia. Geochimica et Cosmochimica Acta 160, 1-15. 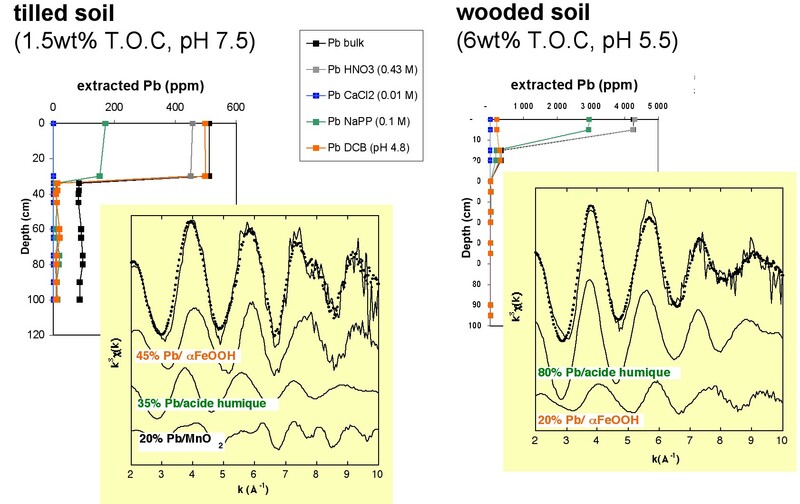 Seder-Colomina M., Goubet A., Lacroix S., Morin G., Ona-Nguema G., Esposito G., van Hullebusch E. D., Pernelle J-J., (2015) Moderate oxygen depletion as a factor favouring the filamentous growth of Sphaerotilus natans. Antonie van Leeuwenhoek 107, 1135-1144. Marsac R., Davranche M., Morin G., Takahashi Y., Gruau G., Dia A. (2015) Effect of loading on the nature of the REE-humate complexes as determined by Yb3+ and Sm3+ LIII-edge EXAFS analysis. Chemical Geology 396, 218-227. Till J.L., Guyodo Y., Lagroix F., Morin G., Ona-Nguema G. (2015) Goethite as a potential source of magnetic nanoparticles in sediments. Geology 43, 75-78. Wang Y.H., Morin G., Ona-Nguema G., Brown G.E. Jr. (2014) Arsenic(III) and Arsenic(V) Speciation during Transformation of Lepidocrocite to Magnetite. Environmental Science and Technology 48, 14282-14290. Seder-Colomina M., Morin G., Benzerara K., Ona-Nguema G., Pernelle J-J., Esposito G., van Hullebusch E. D. (2014) Sphaerotilus natans, a neutrophilic iron-related sheath-forming bacterium: perspectives for metal remediation strategies. Geomicrobiology Journal 31, 64-75. Le Pape P., Quantin C., Morin G., Jouvin D., Kieffer I., Proux O., Ghanbaja J., Ayrault S. (2014) Zinc Speciation in the Suspended Particulate Matter of an Urban River (Orge, France): Influence of Seasonality and Urbanization Gradient. Environmental Science and Technology 48, 11901-11909. Guerbois G., Ona-Nguema G., Morin G., Abdelmoula M., Laverman A. M., Mouchel J.M, Barthelemy K., Brest J. (2014) Nitrite reduction by biogenic hydroxycarbonate green rust: Evidence for a nitrite green rust as intermediate reaction product. Environmental Science and Technology 48, 4505-4514. Dublet G., Juillot F., Morin G., Fritsch E., Noel V., Brest J., Brown Jr. G.E. (2014) XAS Evidence for Ni Sequestration by Siderite in a Lateritic Ni-Deposit from New Caledonia American Mineralogist 99, 225-234. Cosmidis J., Benzerara K., Morin G., Busigny V., Lebeau O, Jezequel D., Noël G., Dublet G., Othmane G. (2014) Biomineralization of iron-phosphates in the water column of Lake Pavin (Massif Central, France). Geochimica et Cosmochimica Acta 126, 78-96. Noël V., Marchand C., Juillot F., Ona-Nguema G., Viollier E., Marakovic G., Olivi L., Delbes L., Gelebart F., Morin G. (2014) EXAFS analysis of iron cycling in mangrove sediments downstream of a lateritized ultramafic watershed (Vavouto Bay, New Caledonia). Geochimica et Cosmochimica Acta 136, 211-228. Blanchard M., Balan E., Giura P., Béneut K., Yi H., Morin G., Pinilla C., Lazzeri M., Floris A. (2014) Infrared spectroscopic properties of goethite : anharmonic broadening, long-range electrostatic effects and Al substitution. Physics and Chemistry of Minerals 41, 289-302. Yi H., Balan E., Gervais C., Ségalen L., Roche D., Person A., Fayon F., Morin G., Babonneau F. (2014) Probing atomic scale transformation of fossil dental enamel using Fourier transform infrared and nuclear magnetic resonance spectroscopy: A case study from the Tugen Hills (Rift Gregory, Kenya). Acta Biomaterialia 10, 3952 -3958. Adra A., Morin G., Ona-Nguema G., Menguy N., Maillot F., Bruneel O., Casiot C., Lebrun S., Juillot F., Brest J. (2013) Arsenic scavenging by aluminum-substituted ferrihydrites in a circumneutral pH river impacted by acid mine drainage. Environmental Science and Technology 47, 12784-12792. Baumgartner J., Morin G., Menguy N., Perez Gonzalez T., Widdrat M., Cosmidis J., Faivre D. (2013) Magnetotactic bacteria form magnetite from a phosphate-rich ferric hydroxide via nanometric ferric (oxyhydr)oxide intermediates. Proceedings of the National Academy of Sciences of the United States of America 110, 14883-14888. Maillot F., Morin G., Juillot F., Bruneel O., Casiot C., Ona-Nguema G., Wang Y., Lebrun S., Aubry E., Vlaic G., Brown Jr. G.E. (2013) Structure and reactivity of As(III)- and As(V)-rich schwertmannites and amorphous ferric arsenate sulfate from the Carnoulès acid mine drainage, France: Comparison with biotic and abiotic model compounds and implications for As remediation. Geochimica et Cosmochimica Acta 104, 310-329. Othmane G., Allard T., Morin G., Sélo M., Llorens I., Chen H., Bargar J., Fayek M. and Calas G. (2013) Uranium association with iron-bearing phases in mill tailings from Gunnar, Canada. Environmental Science and Technology 47, 12695-12702. Othmane G., Allard T., Menguy N., Morin G., Esteve I., Fayek M., Calas G. (2013) Letter: Evidence for nanocrystals of vorlanite, a rare uranate mineral, in the Nopal I low-temperature uranium deposit (Sierra Peña Blanca, Mexico) American Mineralogist 98, 518-521. Yi H., Balan E., Gervais C., Segalen L., Fayon F., Roche D., Person A., Morin G., Guillaumet M., Blanchard M., Lazzeri M., Babonneau F. (2013) Letter : A carbonate-fluoride defect model for carbonate-rich fluorapatite. American Mineralogist 98, 1066-1069. Blanchard M., Morin G., Lazzeri M., Balan E., Dabo I. (2012) First-principles simulation of arsenate adsorption on the (1(1)over-bar2) surface of hematite. Geochimica et Cosmochimica Acta 86, 182-195. Dublet G., Juillot F., Morin G., Fritsch E., Fandeur D., Ona-Nguema G., Brown Jr. G.E. (2012) Ni speciation in a New Caledonian lateritic regolith: A quantitative X-ray absorption spectroscopy investigation. Geochimica et Cosmochimica Acta 95, 119-133. Volant, A ; Desoeuvre, A ; Casiot, C ; Lauga, B ; Delpoux, S ; Morin, G ; Personne, JC ; Hery, M ; Elbaz-Poulichet, F ; Bertin, PN ; Bruneel, O. (2012) Archaeal diversity: temporal variation in the arsenic-rich creek sediments of Carnoules Mine, France. Extremophiles 16(4), 645-657. Guyodo Y., Sainctavit P., Arrio M.A., Carvallo C., Penn R.L., Erbs J.J., Forsberg B.S., Morin G., Maillot F., Lagroix F., Bonville P., Wilhelm F., Rogalev A. (2012) X-ray magnetic circular dichroïsm provides strong evidence for tetrahedral iron in ferrihydrite. Geochemistry Geophysics Geosystems 13, Q06Z44. Science & Technology 46, 3712–3720. Pantke, C., Obst M., Benzerara K., Morin G., Ona-Nguema G., Dippon U., Kappler A. (2012) Green rust formation during Fe(II) oxidation by the nitrate-reducing Acidovorax sp. strain BoFeN1. Environmental Science & Technology, 46, 1439-1446. Charlet L, Morin G, Rose J, Wang YH, Auffan M, Burnol A, Fernandez-Martinez A (2011) Reactivity at (nano)particle-water interfaces, redox processes, and arsenic transport in the environment. Comptes Rendus Geoscience, 343 (2-3): 123-139. Maillot F., Morin G., Wang Y., Bonnin D., Ildefonse P., Chaneac C., Calas G. (2011). New insight into the structure of nanocrystalline ferrihydrite : EXAFS evidence for tetrahedrally coordinated iron(III). Geochimica et Cosmochimica Acta 75(10), 2708-2720. Hohmann C., Morin G., Ona-Nguema G., Guigner J.M., Brown Jr. G.E., Kappler A. (2011) Molecular-level modes of As binding to Fe(III) (oxyhydr)oxides precipitated by the anaerobic nitrate-reducing Fe(II)-oxidizing Acidovorax sp. strain BoFeN1. Geochimica et Cosmochimica Acta 75(17), 4699-4712. Wang YH; Morin, G; Ona-Nguema, G; Juillot, F; Calas G; Brown, GE (2011) Distinctive Arsenic(V) Trapping Modes by Magnetite Nanoparticles Induced by Different Sorption Processes. Environmental Science & Technology, 45, 7258-7266. Juillot F., Maréchal C., Morin G., Jouvin D., Cacaly S., Telouk P., Benedetti M., Ildefonse P., Sutton S., Guyot F., Brown Jr. G.E. (2011) Contrasting isotopic signatures between anthropogenic and geogenic Zn and evidence for post-depositional fractionation processes in smelter-impacted soils from Northern France. Geochimica et Cosmochimica Acta 75(9), 2295-2308. Benzerara, Karim; Miot, Jennyfer; Morin, Guillaume (2011) How some bacteria can oxidize iron in the absence of dioxygen: implications for environmental science and the search of ancient traces of life. Actualite Chimique 356, 102-104. Benzerara K, Miot J, Morin G, Ona-Nguema G, Skouri-Panet F, Ferard C. (2011) Significance, mechanisms and environmental implications of microbial biomineralization. Comptes Rendus Geoscience, 343 (2-3): 160-167. Balan E, Fritsch E, Allard T., Morin G, Guillaumet M, Delattre S, Blanchard M, Calas G. (2011) Spectroscopic investigation and theoretical modeling of kaolinite-group minerals and other low-temperature phases. Comptes Rendus Geoscience, 343 (2-3): 177-187. Balan E., Delattre S., Roche D., Segalen L., Morin G, Guillaumet M. Blanchard M., Lazzeri M., Brouder C., Salje E.K.H. (2011) Line-broadening effects in the powder infrared spectrum of apatite. Physics and Chemistry of Minerals 38(2), 111-122. Bruneel O., Volant A., Gallien S., Chaumande B., Casiot C., Carapito C., Bardil A., Morin G., Brown G.E., Jr., Personne C.J., Le Paslier D., Schaeffer C., Van Dorsselaer Alain., Bertin P., Elbaz-Poulichet F., Arsene-Ploetze F. (2011) Characterization of the Active Bacterial Community Involved in Natural Attenuation Processes in Arsenic-Rich Creek Sediments. Microbial Ecology 61(4), 793-810. M. Cotte; M. Auffan; W. Degruyter; I. Fairchild; M. A. Newton; G. Morin; G. Sarret; A. C. Scheinost (2010) Environmental Sciences at the ESRF. Synchrotron Radiation News 23(5), 28-35. Egal M., Casiot C., Morin G., Elbaz-Poulichet F., Cordier M.A., Bruneel O. (2010) An updated insight into the natural attenuation of As concengtrations in Reigous creek (southern France). Applied Geochemistry 25(12), 1949-1957. Blanchard M., Morin G., Lazzeri M., Balan E. (2010) First-principles study of the structural and isotopic properties of Al- and OH-bearing hematite. Geochimica et Cosmochimica Acta 74(14), 3948-3962. Wang Y., Morin G., Ona-Nguema G., Juillot J., Guyot F., Calas G., Brown Jr. G.E. (2010) Evidence for Different Surface Speciation of Arsenite and Arsenate on Green Rust: an EXAFS and XANES study. Environmental Science and Technology 44, 109-115. Ona-Nguema G. Morin G., Wang Y., Foster. A. Juillot F., Calas G., Brown Jr. G.E. (2010) XANES evidence for rapid Arsenic(III) Oxidation at Magnetite, and Ferrihydrite Surfaces by dissolved O2, via Fe2+-Mediated Reactions. Environmental Science and Technology 44 (14), 5416–5422. Juhin A., Morin G., Elkaïm E., Frost D. J., Fialin M., Juillot F., Calas G. (2010) Structure refinement of a synthetic knorringite, Mg3(Cr0.8Mg0.1Si0.1)2(SiO4)3. American Mineralogist 95, 59–63. Hohmann C., Winkler E., Morin G., Kappler A. (2010) Anaerobic Fe(II)-oxidizing bacteria show As resistance and immobilize As during Fe(III) mineral precipitation. Environmental Science and Technology 44, 94-101. Ruby C, Abdelmoula M, Naille S, Renard A, Khare V, Ona-Nguema G, Morin G, Genin JMR. (2010) Oxidation modes and thermodynamics of FeII-III oxyhydroxycarbonate green rust: Dissolution-precipitation versus in situ deprotonation. Geochimica et Cosmochimica Acta 74(3), 953-966. Morin G., Wang Y., Ona-Nguema G., Juillot F., Calas G., Menguy M., Aubry E., Bargar J.R., Brown Jr. G.E. (2009) EXAFS and HRTEM Evidence for As(III)-Containing Surface Precipitates on Nanocrystalline Magnetite: Implications for As Sequestration. Langmuir 25, 9119-9128. Ona-Nguema G., Morin G., Wang Y., Menguy N., Juillot F., Olivi L., Aquilanti G., Abdelmoula M., Ruby C., Bargar J.R., Guyot F., Calas G., Brown JR. G.E. (2009) Arsenite sequestration at the surface of nano-Fe(OH)2, ferrous-carbonate hydroxide, and green-rust after bioreduction of arsenic-sorbed lepidocrocite by Shewanella putrefaciens. Geochimica et Cosmochimica Acta 73, 1359-1381. Miot, J.; Benzerara K., Morin G., Kappler A., Bernard S., Obst M., Férard C., Skouri-Panet F., Guigner J-M., Posth N., Galvez M., Brown Jr. G.E., Guyot F. (2009) Iron biomineralization by anaerobic neutrophilic iron-oxidizing bacteria. Geochimica et Cosmochimica Acta 73, 696-711. Miot J., Benzerara K., Morin G., Bernard S., Beyssac O, Larquet E., Kappler A., Guyot F. (2009) Transformation of vivianite by anaerobic nitrate-reducing iron-oxidizing bacteria. Geobiology 7, 373-384. Miot J, Benzerara K, Obst M, Kappler A, Hegler F, Schädler S, Bouchez C, Guyot F, Morin G. (2009) Extracellular iron biomineralization by photoautotrophic iron-oxidizing bacteria. Appl Environ Microbiol. 75(17), 5586-5591. Egal M., Casiot C., Morin G., Parmentier M., Bruneel O., Lebrun S., Elbaz-Poulichet F. (2009) Kinetic control on the formation of tooeleite, schwertmannite and jarosite by Acidithiobacillus ferrooxidans strains in an As(III)-rich acid mine water. Chemical Geology 265, 432-441. Fandeur D, Juillot F, Morin G., Olivi L, Cognigni A., Ambrosi JP, Guyot F., Fritsch E. (2009) Synchrotron-based speciation of chromium in an Oxisol from New Caledonia: Importance of secondary Fe-oxyhydroxides. Amer. Mineral. 94, 710-719. Fandeur D., Juillot F., Morin G., Olivi L, Cognigni A., Webb S.M., Ambrosi J-P., Fritsch E., Guyot F, Brown Jr. G.E. (2009) XANES evidence for oxidation of Cr(III) to Cr(VI) by Mn-oxides in a lateritic regolith developed on serpentinized ultramafic rocks of New Caledonia. Environmental Science and Technology 43, 7384–7390. Lahlil S., Bouquillon A., Morin G., Galoisy L., Lorre C. (2009) Relationship between the coloration and the firing technology used to produce Susa glazed ceramics of the end of the neolithic period. Archaeometry 51, 774-790. Fakih M., Davranche M., Dia A., Nowack B., Morin G., Petitjean P., Châtellier X., Gruau G.(2009) Environmental impact of As(V)-Fe oxyhydroxide reductive dissolution: An experimental insight. Chemical Geology 259, 290-303. Juillot F., C. Maréchal, M. Ponthieu, S. Cacaly, G. Morin, M. Benedetti, J.L. Hazemann, O. Proux, F. Guyot. Zn isotopic fractionation caused by sorption on goethite and 2-Lines ferrihydrite. Geochimica et Cosmochimica Acta 72, 4886-4900. Brown Jr. G.E., Wang, Y., Gelabert A., Ha, J., Cismasu C., Ona-Nguema G., Benzerara K., Miot J., Menguy N., Morin G., Juillot F., Guyot F., Calas G., Farges F., Trainor T., Gescher J., Cordova C., Spormann A.M. (2008) Synchrotron X-ray studies of heavy metal mineral-microbe interactions. Mineralogical Magazine 72, 169-173. Morin G., Ona-Nguema G., Wang Y. Menguy N., Juillot F., Proux O., Guyot F., Calas G., Brown Jr. G.E. (2008) EXAFS analysis of arsenite and arsenate adsorption on maghemite. Environmental Science and Technology 42, 2361-2366. Wang Y., Morin G., Ona-Nguema G., Menguy N., Juillot F., Aubry E., Guyot F., Calas G., Brown Jr. G.E. (2008) Arsenite sorption at the magnetite-water interface during aqueous precipitation of magnetite. EXAFS evidence of a new surface complex. Geochimica et Cosmochimica Acta 72, 2573-2586. Benzerara K., G. Morin, T.H. Yoon, J. Miot, T. Tyliszczak, C. Casiot, O. Bruneel, F. Farges, G.E. Brown Jr. (2008) Nanoscale study of As biomineralization in an acid mine drainage system. Geochimica et Cosmochimica Acta 72, 3949-3963. Cancès B., Juillot F., Morin G., Laperche V., Polya D.,Vaughan D.J., Hazemann J.L., Proux O., Brown Jr. G. E. and Calas G. (2008) Change in arsenic speciation through a contaminated soil profile: a XAS based study. Science of the Total Environment 397, 178-189. Lahlil S, Biron I, Galoisy L, Morin G (2008) Rediscovering ancient glass technologies through the examination of opacifier crystals. Applied Physics A-Materials Science & Processing 92, 109-116. Burnol A., Garrido F., Baranger P., Joulian C., Dictor M-C., Bodenan F., Morin G. and Charlet L.(2007) Decoupling of arsenic and iron release from ferrihydrite suspension under reducing conditions: a biogeochemical model. Geochemical Transactions 8/1 :12, 1-55. Morin G., Rousse G., Elkaim E. (2007) Crystal structure of tooeleite, a new iron arsenite hydroxysulfate relevant of acid mine drainage. American mineralogist 92, 193-197. Juillot F., Morin G., Ildefonse P., CalasG., and Brown, Jr. G.E. (2006) EXAFS signature of structural Zn at trace levels in natural and synthetic trioctahedral 2:1 phyllosilicates. American Mineralogist 91,1432-1441. Morin G. and Calas G. (2006) Arsenic in soils, mine tailings, and former industrial sites. Elements 2 (2), 97-101. Balan E., Lazzeri M., Morin G., Mauri F. (2006) First-principles study of the OH stretching modes of gibbsite. American Mineralogist 91, 115-119. Farges, F., Siewert, R., Brown, G.E., Jr., Guesdon, A., Morin, G. (2006) Structural environment around molybdenum in silicate glasses and melts: Part I. Influence of composition and oxygen fugacity on the local structure of molybdenum. Canadian Mineralogist 44, 731-753. Cancès B., Juillot F., Morin G., Laperche V., Alvarez L., Proux O., Hazemann J-L, Brown Jr. G.E., Calas G. (2005) XAS evidence of As(V) association with iron oxyhydroxides in a contaminated soil at a former arsenical pesticide processing plant. Environmental Science and Technology 39, 9398-9405. Ona-Nguema G., Morin G., Juillot F., Brown JR. G.E., Calas G. (2005) EXAFS analysis of Arsenic(III) sorption onto 2-line ferrihydrite, hematite, gœthite, and lepidocrocite under anoxic conditions. Environmental Science and Technology 39, 9147-9155. Fritsch E., Morin G., Bedidi A., Bonnin D., Balan E., Caquineau S., Calas G. (2005). Transformation of haematite and Al-poor goethite to Al-rich goethite and associated yellowing in a ferralitic clay soil profile of the middle Amazon basin (Manaus, Brazil). European Journal of Soil Science 56/5, 575-588. Casiot C., Lebrun S., Morin G., Bruneel O., Personné J.C. and Elbaz-Poulichet F. (2005) Sorption and redox processes controlling arsenic fate and transport in a stream impacted by acid mine drainage. Science of The Total Environment, 347, 122-130. Sorieul S., Allard T., Morin G., Boizot B., Calas G. (2005) Native and artificial radiation-induced defects in montmorillonite. An EPR study. Physics and Chemistry of Minerals 32, 1-7. Barbosa E.M., Varajao A.F.D.C, Yvon J., Allard T., Balan E., Morin G. and Abdelmoula M. (2004). Iron EPR logging as a tool for stratigraphic determinations : Application to Rio Capim kaolin deposit (Brazil). Journal of Mining and Metallurgy 40A (1), 1- 9. 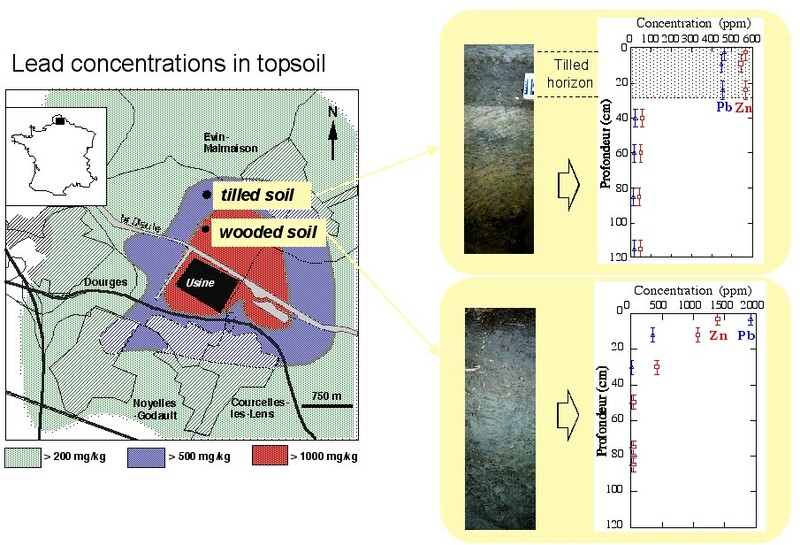 Morin G., Lecocq D., Juillot F., Calas G. and Ildefonse P. (2002) EXAFS evidence of sorbed arsenic(V) and pharmacosiderite in a soil overlying the Echassieres geochemical anomaly, Allier, France. Bulletin de la Société Géologique de France 173, 281-291. Reiche I., Morin G., Brouder C., Solé A., Petit P-E., Vignaud C., Calligaro T., Menu M. (2003) Manganese accommodation in fossilised mastodon ivory and heat-induced colour transformation: Evidence by EXAFS. European Journal of Mineralogy 14/6, 1069-1073. Balan E., Allard T., Morin G. and Calas G. (2002) Incorporation of Cr3+ in dickite : a spectroscopic study. Physics and Chemistry of Minerals 29, 273-279. Dumat C., Chiquet A., Goody D., Aubry E., Morin G., Juillot F. and Benedetti M. F. (2001) Metal ion geochemistry in smelter impacted soils and soil solutions. Bulletin de la Société Géologique de France 172, 539-548. Djemai A., Balan E., Morin G., Hernandez G., Labbe J.-C., Muller J.-P. (2001) Behavior of paramagnetic iron during the thermal transformations of Kaolinite, Journal of American Ceramic Society 84, 1017-1024. Balan E., Allard T., Boizot B., Morin G. and Muller J.P. (2000) Quantitative measurement of paramagnetic Fe3+ in kaolinite. Clays and Clay Minerals 48, 439-445. Juillot F., Ildefonse Ph., Morin G., Calas G., De Kersabiec A.M. and Benedetti M. (1999) Remobilisation of arsenic from buried wastes in an industrial site: mineralogical and geochemical control. Applied Geochemistry 14, 1031-1048. Morin G. and Bonnin D. (1999) Modeling EPR powder spectra using numerical diagonalization of the spin hamiltonian. Journal of Magnetic Resonance 136, 176-199. Galoisy L., Calas G., Morin G., Pugnet S. and Fillet C. (1998) Structure of Pd-Te precipitates in a simulated high-level nuclear waste glass. Journal of Material Research 13, 1124-1127. Galoisy L., Delaye J.M., Ghaleb D., Calas G., Le Grand M., Morin G., Ramos A. and Pacaud F. (1998) Local structure of simplified waste glass: complementarity of XAS and MD calculations. Nuclear Waste Management 21, 133-140. Pomies M.P., Morin G. and Vignaud C. (1998) XRD Study of the goethite-hematite transformation: application to the identification of heated prehistoric pigments. European Journal of Solid State Inorganic Chemistry 35, 9-25. Allard T., Calas G., Ildefonse Ph., Morin G. and Muller J.P. (1997) Impuretés et défauts dans les minéraux de basse température : des témoins de leur histoire. (Impurities and defects in low temperature mineral components : tracers of their history)., Comptes rendus de l'Academie des Sciences: Sciences de la Terre 325, 1-10. Michel V., Ildefonse Ph. and Morin G. (1996) Assessment of archeological bone and dentine preservation from a Middle Pleistocene site. Palaeogeography Palaeoclimatology Palaeoecology 126, 109-119. Michel V., Ildefonse Ph. and Morin G. (1995) Chemical and structural changes in Cervus elaphus tooth enamel during fossilization (Lazaret cave): a combined IR and XRD Rietveld analysis. Applied Geochemistry 10, 145-159. In-situ arsenic speciation in earth surface environments: importance of iron oxides. Goldschmidt Conference, Cologne, August 2007. Arsenic Speciation in Soils and Aquifers: Role of Iron Oxides. 3rd Annual Meeting of the Stanford Environmental Molecular Science Institute. August 13-14, 2007. Arsenic in soils, mine tailing and former industrial sites. 20th General Meeting International Mineralogical Association,Kobe, Juillet 2006. XAS monitoring of Arsenic (Bio-)Oxidation and Immobilisation in Soils and Acid Mine Drainage. Goldschmidt Conference, Davos, Septembre 2002. Molecular-level speciation of lead and arsenic in soils over geochemical anomalies. 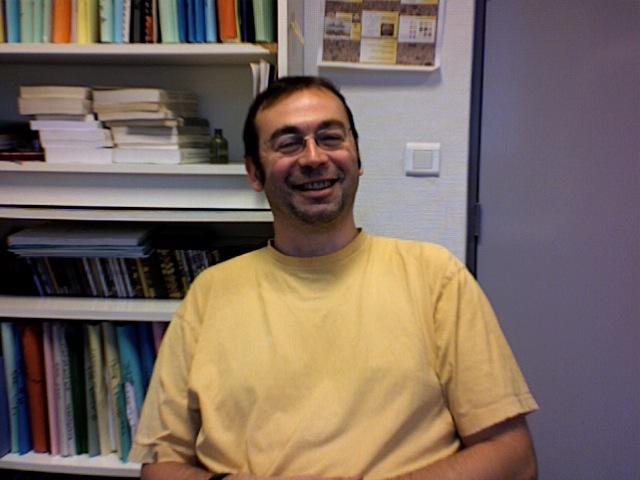 EUG 11, Strasbourg, 2001. Crystal-chemistry of lead and arsenic in soils and acid mine drainage, ETH Zürich, Suisse, mai 2007. Arsenic speciation in soils and aquifers: role of iron oxides, Université de Tuebingen, Allemagne, mai 2008. Matériaux, minéraux et environnement : les informations données par les rayons X. Réunion annuelle des utilisateurs Panalytical, Paris, Mai 2006. Cristallochimie de l’arsenic et mesures directes de sa spéciation. Etude comparée de différents sites. Journées d'étude sur l'arsenic en milieu minier, Société de l'Industrie Minérale, Narbonne, Septembre 2000. Evidences directes du piégeage des métaux par des matières organiques dans les sols et les eaux. Colloque IHSS3, INRA-Versailles, 3-4 juin 1999. Spectroscopie RPE des éléments de transition. galerne 94, Le Hohwald, Octobre 1994. Brown, G.E., Jr., Kendelewicz, T., Trainor, T.P., Tanwar, K.S., Chaka, A.M., Bluhm, H., Starr, D.E., Yamamoto, S., Nilsson, A., Catalano, J.G., Benzerara, K., Yoon, T.H., Morin, G., Ona−Nguema, G., Juillot, F., Cances, B., and Calas, G., (2007) Recent advances in surface, interface, and environmental geochemistry. In: Water−Rock Interaction−12, Proc. 12th Internat. Water−Rock Interaction−12, Proceedings of the 12th International Water−Rock Interaction Conference, Kunming, China (Thomas Bullen and Yanxin Wang, eds. ), Taylor & Francis Publishers, London, Vol. 1, pp. 3−11. Juillot, F., Morin, G., Hazemann, J-L., Proux, O., Belin, S., Briois, V., Brown, G.E., Jr., and Calas, G. (2007) EXAFS signatures of structural Zn at trace levels in layered minerals. Am. Inst. Phys. Conf. Proc., 13th Int. XAFS Conf. 882, 247-249. Brown, Jr. G.E., A. Nilsson, A.M. Spormann, W. P. Addiego, K. Benzerara, U. Bergmann, H. Bluhm, B. A. Brown, G. Calas, A.M. Chaka, B.R. Constantz, F. Farges, S. E. Fendorf, A.L. Foster, F. Juillot, G. Morin, S.C.B. M, L.G.M. Pettersson, K.M. Rosso, J.J. Rytuba, M. Salmeron, J. Saltzman, M. Toney, T.P. Trainor, and T. Yoon (2006) The Stanford Environmental Molecular Science Institute – A Focus on Chemical and Microbial Processes at Environmental Interfaces. Geochemical News 128, 7-30. Brown G.E. Jr, J. G. Catalano, A. S. Templeton, T. P. Trainor, F. Farges, B. C. Bostick, T. Kendelewicz, C. S. Doyle, A. M. Spormann, K. Revill, G. Morin, F. Juillot, G. Calas (2005) Environmental Interfaces, Heavy Metals, Microbes, and Plants Applications of XAFS Spectroscopy and Related Synchrotron Radiation Methods to Environmental Science. Proceedings of the XAFS 12 conference, Malmö, Sweden, Physica Scripta, T115, 80-87. Reiche I., G. Morin, Ch. Brouder, C. Vignaud, M. Menu (2005) The history of a turquoise imitation - odontolite- a combined elemental, structural and spectroscopic study, Proceedings of the 33rd International Symposium on Archaeometry, Amsterdam, 22-26 April 2002, H. Kars and E. Burke Eds., Geoarchaeological and Bioarchaeological Studies 3, 509-513. Calas G., Allard T., Balan E., Morin G., Sorieul S. (2004) Radiation Induced Defects In Nonradioactive Natural Minerals: Mineralogical And Environmental Significance. Material Research Proceedings Symposium. 792, R2.6.1- 12. Reiche I., Vignaud C., Champagnon B., Panczer G., Brouder C., Morin G., Solé A., Charlet L., and Menu M. (2002) From Mastodon ivory to gemstone. ESRF Highlights 2001, 31-32. Ildefonse Ph. Morin G., Juillot F., Calas G., Samama J.C., Brown Jr. G.E., Chevallier P., Populus P. (1999) Weathering of a Pb-Mineralized sandstone, Ardèche, France: Lead speciation. Proc. 5th Int. Symp. Geochemistry of the Earth’s Surface, Reykjavik/Iceland, 16-20 August 1999, Balkema, 385-388. Galoisy L, Calas G., Ramos A., Le Grand M., Allard T., Morin G., Fillet C. and Pacaud F. (1998) Evolution of the structure of simulated nuclear glasses with the introduction of noble metals. in "Le verre: recherche scientifique pour un confinement de haute performance", Actes de l'Université d'Eté du CEA/Valrho, p 59-64. Calas G. et Morin G. (1994) Résonance paramagnétique des ions de métaux de transition, post-transition et lanthanides. In: Spectroscopies de résonances paramagnétiques électroniques: du cristal à l'amorphe, de l'isolant au conducteur, D. Gourier et F. Taulelle, Eds, Proceeding, GALERNE 94, Mt St Odile, 9-14 octobre 94 . pp 48. Morin G., Ildefonse P., Bonnin D., Bouzat G. (1992) A quantitative Rietveld and Mössbauer analysis of aluminium deposits: example from Guinea. Proceedings of the 7th International symposium on Water-Rock Interaction, Park City, Utah, USA. 13 - 19 july 1992, 2, 167-172. Chemical speciation (oxidation state, molecular environment) is a key parameter controlling the mobility, toxicity, and bioavailability of chemical elements in surface waters, aquifers, soils and sediments. This parameter directly depends on interactions between solute species, mineral surfaces, organic and biologic substances within heterogeneous natural systems. We have quantitatively determined chemical species of environmentally relevant minor and trace elements using solid state physics methods (XRD, XAS). The spatial distribution of these chemical species has been integrated on various scales, from the landscape (geochemical budgets) to the soil microstructures (µSXRF, MEB, electron-microprobe, TEM). Our work has addressed contaminated systems (smelter impacted soils, sewage sludge contaminated soils, acid drainage) and natural geochemical anomalies, in order to compare mechanisms of trace elements immobilization at short and long term, respectively. Combining spectroscopic, mineralogical, geochemical, microbiological data, collected thanks to integrated research programs, allowed us to find evidences of recurrent sinking mechanisms for lead, zinc and arsenic in soils and surface waters. Such information crucial for predicting the fate of these trace elements at the Earth's surface. More recently we investigated in the field and at the laboratory, the role of microorganisms on the formation and evolution of iron minerals, in relation with the sinking of associated trace elements, at redox interfaces, e.g. acid mine drainage and oxic-anoxic transitions in soils and sediments.